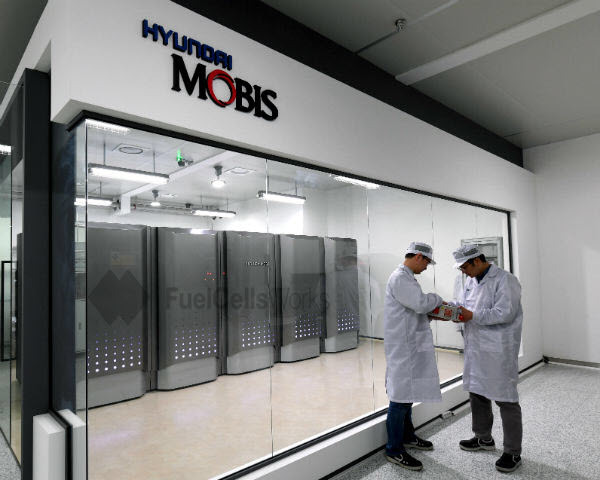 Hyundai Mobis recently announced that it has started operating a hydrogen emergency power generation system in its hydrogen fuel cell plant located in Chungju, Chungbuk. Hyundai Mobis introduced this hydrogen power generation system that uses a hydrogen fuel cell module normally applied to a hydrogen electric car to supply power to the building. This world first uses the core components of Nexo hydrogen fuel cell electric vehicle (FCEV) made by Hyundai Motor Co to produce power to a dedicated plant. It has attracted attention as an example of fuel cell power generation that is used on something other than an automobile. In the future, the hydrogen emergency generator will be used as an emergency power source in the event of a power outage at the plant, and as an auxiliary power source for increasing seasonal power usage. 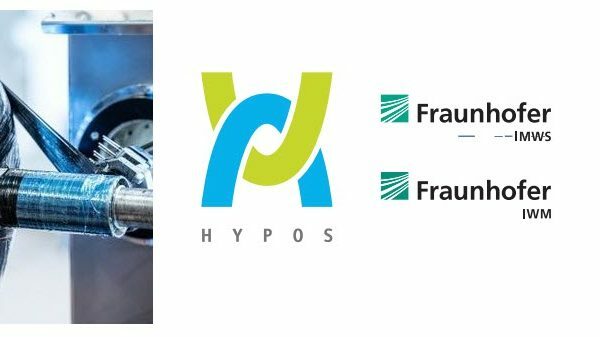 Five hydrogen fuel cells for automobiles were connected side-by-side in parallel to produce a maximum 450kW power generation system. This power generation is about 7% of the total power requirement of the Chungju plant, and it can cope with emergency or peak time. One of the biggest advantage to this unit is that the number of fuel cell modules that produce electricity can be adjusted as needed. This is because the fuel cell module can be connected as necessary according to the amount of emergency power generation and auxiliary power needs and also depending on the size of the building. 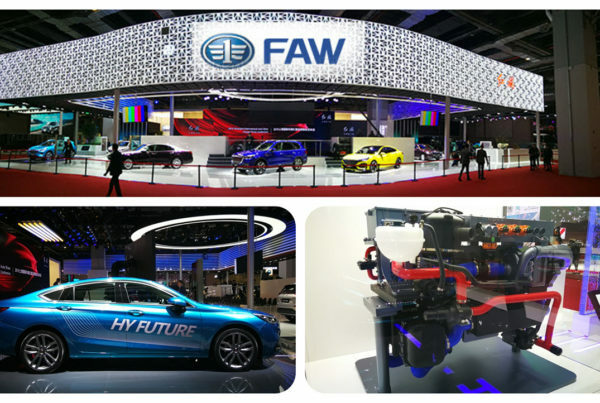 In addition, all the components of the hydrogen fuel cell module are explosion-proof, automatic hydrogen sensing, and include an external exhaust system. The power generation system using the hydrogen fuel cell is also advantageous in terms of high energy efficiency, zero air pollution, and low noise. 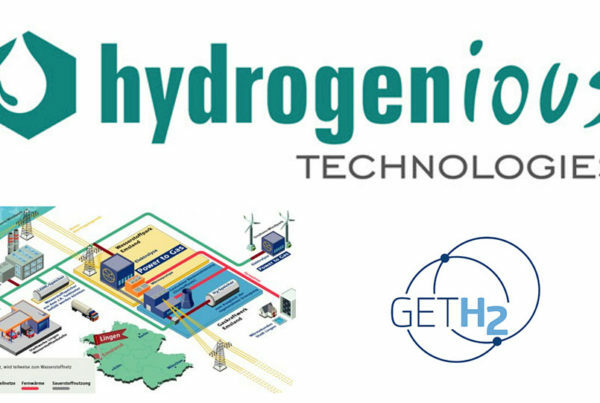 One of the few disadvantages is that installation cost is still quite high due to insufficient infrastructure for hydrogen production and utilization, but it is expected that it will become competitive as the use of hydrogen becomes more readily available. 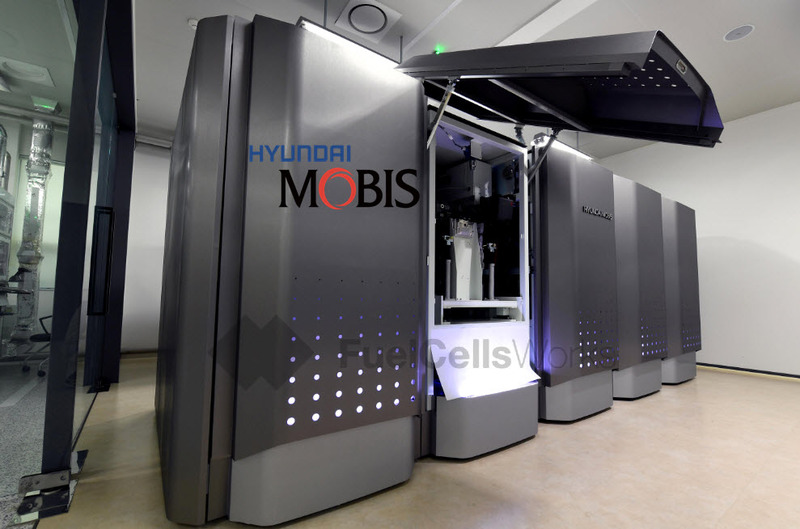 Hyundai Mobis plans to expand the hydrogen emergency power generation system to other production sites at home and abroad, starting with this first unit at the Chungju plant. Earlier this year Hyundai Mobis introduced the hydrogen emergency power generation system at the world’s largest consumer electronics exhibition (CES) in Las Vegas. Meanwhile, Hyundai Mobis has also began construction of its second hydrogen fuel cell plant in an eco-friendly car parts complex located in Chungju, South Chungcheong Province at the end of last year. When the plant is completed, it will have the production capacity of 3,000-units of hydrogen fuel cell systems and it will expand to about 40,000 units annually by 2022. At this groundbreaking ceremony, Hyundai Motor Group proposed a mid- to long-term business strategy to build a total of 700,000 hydrogen fuel cell system production systems by 2050.